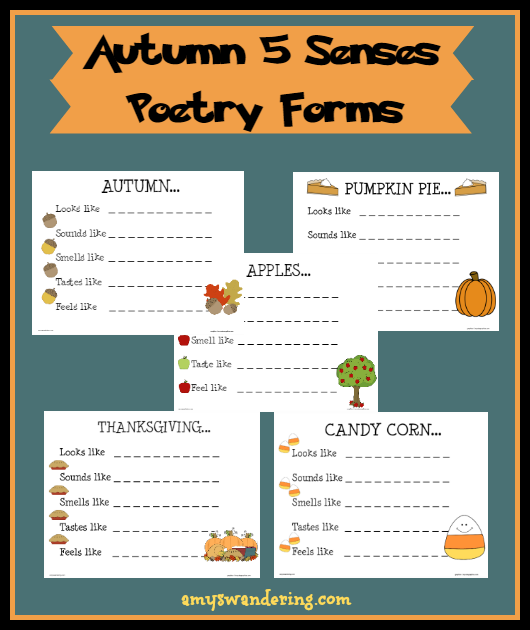 These Autumn 5 Senses Poems can be filled in literally or figuratively. Encourage your kids to think a bit outside the box! 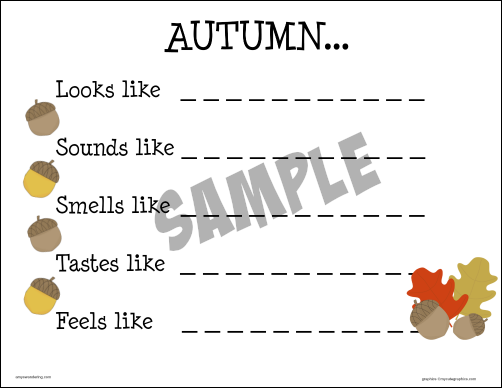 Interested in more Autumn poetry printables? Follow my 5 Days of Autumn Poetry Templates series. 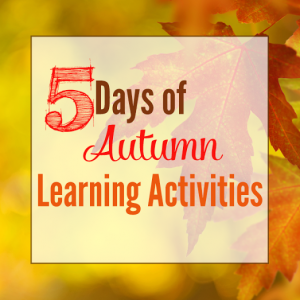 Be sure to check out the other Autumn Learning Activities bloggers!